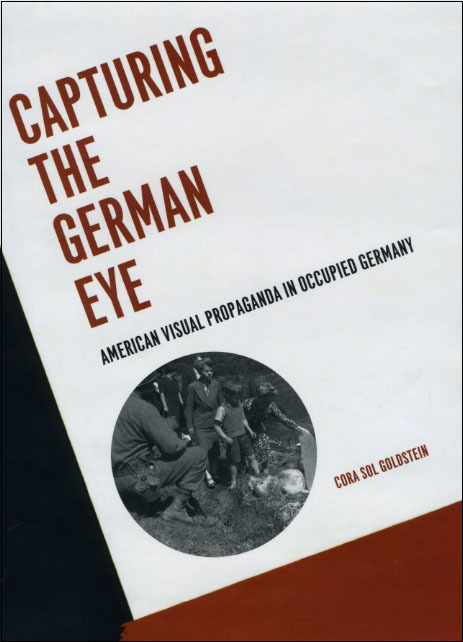 Shedding new light on the American campaign to democratize Western Germany after World War II, Capturing the German Eye uncovers the importance of cultural policy and visual propaganda to the U.S. occupation. Cora Sol Goldstein skillfully evokes Germany’s political climate between 1945 and 1949, adding an unexpected dimension to the confrontation between the United States and the USSR. During this period, the American occupiers actively vied with their Soviet counterparts for control of Germany’s visual culture, deploying film, photography, and the fine arts while censoring images that contradicted their political messages. Goldstein reveals how this U.S. cultural policy in Germany was shaped by three major factors: competition with the USSR, fear of alienating German citizens, and American domestic politics. Explaining how the Americans used images to discredit the Nazis and, later, the Communists, she illuminates the instrumental role of visual culture in the struggle to capture German hearts and minds at the advent of the cold war. "A fascinating and illuminating book and [it] makes an original, interdisciplinary contribution to the study of Germany and German-American relations in the second half of the 1940s." "This book is an important contribution to a growing field of study, and provides essential background to now classic surveys of the cultural Cold War."